The U.S. Consumer Product Consumer Safety Commission has announced the recall of a gas powered backpack blower, manufactured by Echo. 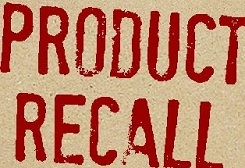 The recall affects approximately 16,000 blowers, and is being made as it has been determined that the fuel line between the fuel tank and carburetor could have been damaged during assembly leading to fuel leakage and possible fire. This recall involves two models of the Echo 2-cycle gas powered backpack blowers. The 25.4 cc blowers are orange and black in color and “ECHO” is printed on the pull starter housing and blower tube. The model numbers are indicated on a label near the pull starter handle. The serial numbers are located on a label near the gas filler cap. The affected Echo blowers were sold at Home Depot and at authorized Echo dealers from August 2011 through January 2012. Customers are being instructed to immediately stop using the blower, and to return them to an authorized Echo dealer for a free repair.